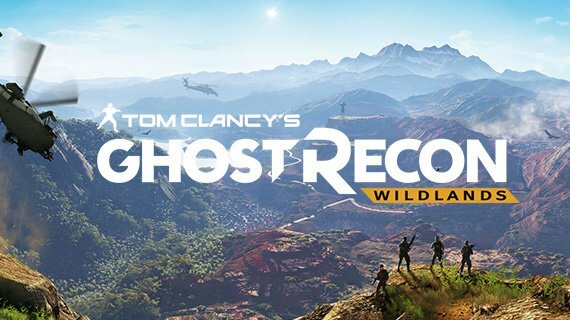 Tom Clancy’s Ghost Recon Wildlands is part of the Ghost Recon franchise that sits with five other series in the Tom Clancy games. The full Tom Clancy series has been developed by the video game company Red Storm Entertainment, which Tom Clancy co-founded. Ubisoft saw the incredible games that emerged from Red Storm and bought the company, but continued to publish the titles under Tom Clancy’s name. The Tom Clancy series specialises in tactical shooter franchises, which began with the game developed from one of Clancy’s novels, The Hunt for Red October. Tom Clancy was an American novelist and video game designer. He specialised in literary about espionage and the military scene. He had seventeen best selling novels before he died in 2013. He specialised in military plots and storylines and applied these to his passion for video games. The Tom Clancy series have been incredibly popular, with each franchise specialising in a section and skill within the military. Rainbow Six is a novel by Tom Clancy, it was later transformed into a video game of the same name. The story follows a fictional anti-terrorist unit called ‘Rainbow’ and is a first-person shooter game. With nineteen released Rainbow Six games and expansions, Rainbow Six is the most squad based out of all the games in the Tom Clancy series. Ghost Recon Wildlands is the newest in the Ghost Recon series. The Ghost’s are a team of elite military personnel that pride themselves on their combat skills and tight knit uniformity. Ghost Recon Wildlands is the first game to be open-world, to create a more tailored and personalised experience for the players. Splinter Cell is a series of award winning stealth games, first released in 2002. The games revolve around a highly trained agent from a Black Ops sub-division who specialise in stealth attacks. The most popular of the Tom Clancy franchise, Splinter Cell requires a disciplined and patient gamer to get behind the controls of their compelling stories. The Division is an online-only open world third person shooter game. The game revolves around a smallpox pandemic and a team who are sent in to rebuild the operations in a futuristic New York. This is the newest Tom Clancy game and the first in what could be a new franchise. H.A.W.X is an airborne shooter where the goal is to defend various countries against attacks. There have been two games in this series, where players take to the skies to play in a variety of military aircrafts. Set in a fictional futuristic war, EndWar is a tactical real-time tactics strategy war game.